The appointment of retired Army General Mark S. Inch to head the Federal Bureau of Prisons (BOP) is a major blow to those working for prison reform under Trump. Attorney General Jeff Sessions announced on August 1, 2017 that Inch would be taking over the position. In the past, Inch has been responsible for detainee operations in Iraq and Afghanistan, which have been plagued by accusations of torture and abuse. 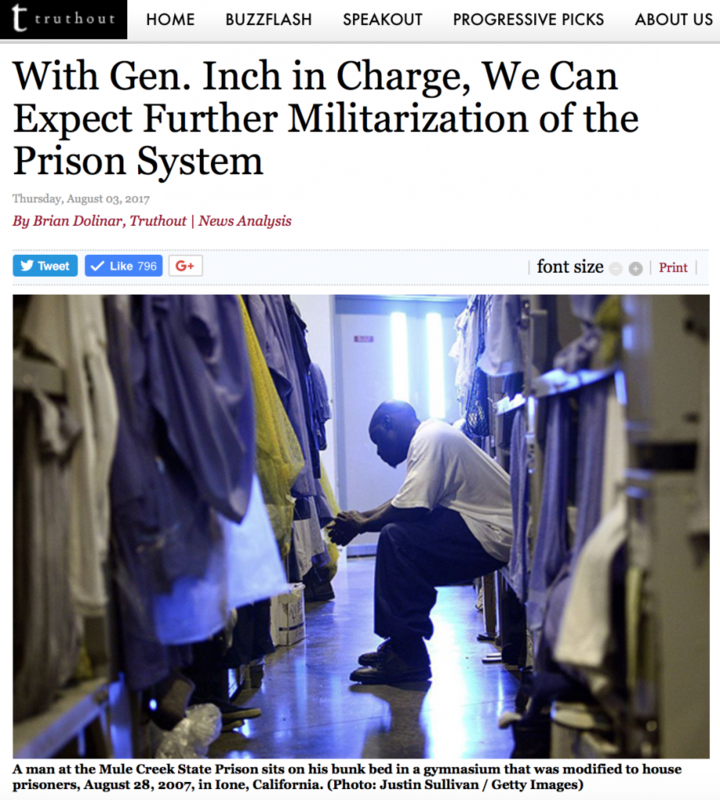 Looking at Inch’s record, many prison activists and formerly incarcerated people expressed alarm that his appointment will likely lead to worsening conditions in the future. Former political prisoner Susan Rosenberg had her sentence commuted by Clinton and was released after spending 16 years in federal prison. She is the author of American Radical: A Political Prisoner in My Own Country. There is an “increasing connection,” she wrote in an email to Truthout, “between the military-industrial complex and the prison-industrial complex.” She pointed out that UNICOR, the Bureau of Prison’s work program, sells many of its manufactured goods to the military. In the future, she said, we can expect to see an increase of “slave labor” working for military contractors, and the use of solitary confinement and torture. General Inch, she added, is the “perfect person” to carry this out. 48 queries in 1.179 seconds.